Alesia Visconti is the CEO of FranServe Inc, the world's largest franchise consulting & expansion organization, and the CEO of Franchise Dictionary Magazine, which educates people on the concept of franchise ownership. As such, Alesia provides vision and leadership to two extraordinary franchise industry organizations. She has 20+ years of experience as a CEO & President, driving organizational development and taking companies to the next level, both domestically and internationally. An author, professional speaker, and entrepreneur, her motto in life is “Work hard, play hard, help others, repeat.” Alesia is passionate about the franchise industry as well as ensuring that people having the opportunity to take control of their future. To that end she never loses sight of her mission: to help others achieve their dreams of business ownership through franchising. 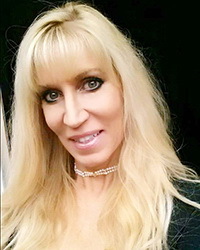 Her passion for helping others have blissful lives includes pro bono life coaching veterans struggling with PTSD as well as working with battered women to help them with esteem issues, career choices, and their independence.